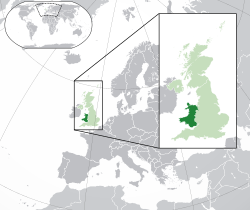 Wikimedia Community User Group Wales (officially: Grŵp Defnyddwyr Cymuned Wicimedia Cymru) is a group formed by active members of Welsh Wikimedia projects who are interested in organizing and participating in outreach activities on a Welsh Country level. Members of the User Group have been active for several years, as individuals, as a community, and as organisations hosting Wikimedians-in-Residence (Y Coleg Cymraeg Cenedlaethol, Llyfrgell Genedlaethol Cymru / The National Library of Wales) and undertaking Wikiprojects (Wici Môn, WiciPop, Wici-Iechyd), engaging in activities such as workshops, hackathons, 'train the trainer' programmes, editathons, and other education-related events. Many activities have been in collaboration with Wikimedia UK. The discussions regarding the formation of the User Group originally took place on our community page on Wikipedia, and is archived here. Current discussions can be found here. The Wikimedia Community User Group Wales promotes and encourages free and open access to knowledge in all forms, particularly in relation to the Welsh language and/or Wales as a nation, and embraces and promotes diversity within Wales and throughout the world. Identify and explore opportunities to work with organisations and funding bodies in pursuance of the User Groups aims. Members (Dafydd Tudur and Carl M. met Josie F., Chair of Wikimedia UK, Daria and R.O. at Aberystwyth to discuss the Memorandum of Understanding.